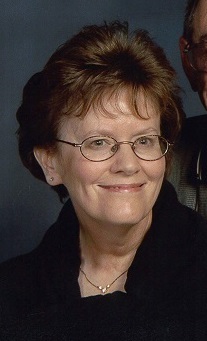 Carolyn Kleiss, 70, of Tuscola, IL passed away at 1:39 P.M. on Monday, February 11, 2019 at her residence. Graveside services will be held at 11:00 A.M. on Thursday, February 14, 2019 at the Tuscola Township Cemetery. Father Angel Sierra will officiate. The Edwards Funeral Home is assisting the family with arrangements. Carolyn was born on October 3, 1948 in Mattoon, IL. She was a daughter of Merle and Geneva (Woods) Kearns. She married Barry M. Kleiss on June 14, 1969 at St. John the Baptist Catholic Church in Arcola, IL. He passed away on July 20, 2007. Survivors include a daughter, Michelle Owen and her husband Bart of Mattoon, IL; two sons, Robert Kleiss and his wife Heather of Tuscola, IL and David Kleiss of Tuscola, IL; six grandchildren, Austin, Luke and Courtney Owen, McKenna Kleiss, and Carleigh and Rebecca Kleiss; two great-grandchildren, Kade and Griffin; two sisters, Marilyn McCoy of Arcola, IL and Mary Thompson and her husband Jack of Camargo, IL; her mother-in-law, Phyllis Kleiss of Tuscola, IL; two sisters-in-law, Pam Sprague and her husband Clark of Tuscola, IL and Kathleen Campbell and her husband Gary of Tuscola, IL; and a brother-in-law, Todd Black of Tuscola, IL. She was preceded in death by her parents; her husband; her father-in-law, Paul Kleiss; a brother-in-law, Russell McCoy; and a sister-in-law, Judy Black. Carolyn was a member of the Forty Martyrs Catholic Church in Tuscola. She enjoyed traveling, shopping, antiquing, reading, going out to eat, and spending time with her family.